From the early days of this man's life, the eagle has been his special helper. It forever soars above him and within him imparting its powers. The contemporary graphics interpret bead-work and painting patterns displayed on his possessions. 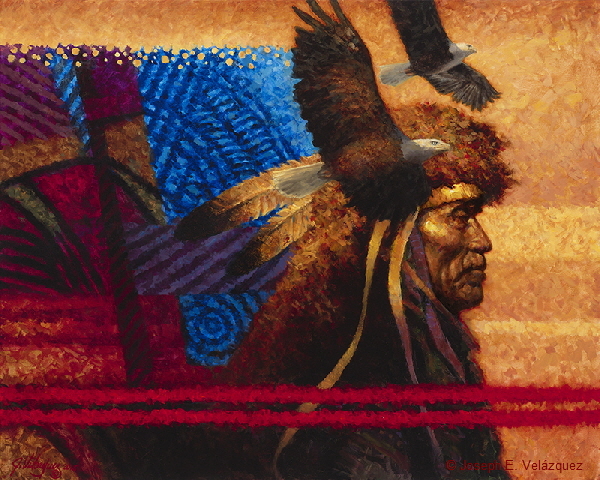 He wears two eagle feathers attached to his buffalo headdress – another powerful symbol in his life.